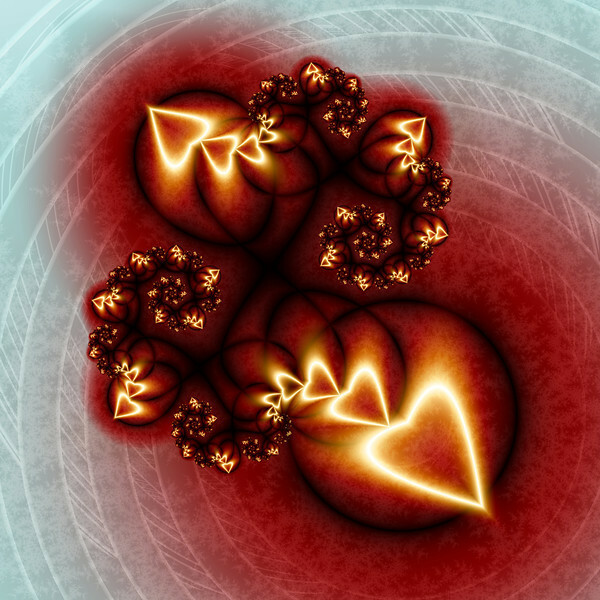 Fractal geometry has always captured my imagination. Balancing on a knife edge between order and chaos lies a world in which mathematical perfection shows its beauty through mysterious depths and swirls of complex elegance. Through years of studies and exploration of these almost alien and yet natural forms, I have found much joy and satisfaction. Each image contains a great visual depth and immense detail, inviting the viewer to plunge into an imaginary world of striking beauty. It seems that behind each curve and ripple lies a surprise waiting to be uncovered. My main inspiration is the natural beauty of New Zealand, especially the Waitakere Ranges Heritage Area. The endless variation in shapes and colours, from the smallest to the largest, is a great source of ideas and visions. My images will often draw inspiration from many sources. A curious shape in a rocky outcrop on a West Coast beach, wind sculpted patterns in sand, spiral koru fronds and cascading waterfalls may all, each in their own way, leave their mark on the final result. The creative process is done on my computer where colours and shapes come together to form a sea of elegance and contrasts only dictated by mathematical formulas. I often work on more than one image at a time, combining ideas and expressions and the final result has to surprise me and fill me with a sense of accomplishment.